Meribel Mottaret ski rental with Arolles Sports skishop. By booking online, you can win up to 50% discount on your ski and snowboard hire. 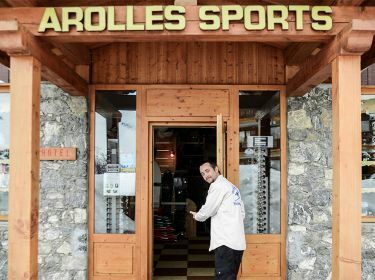 Located in the heart of the 3 Valleys, Arolles Sports warmly welcomes you to its rental and repair shop. Specialist in skiing and snowboarding equipment’s for over 20 years Arolles Sports brings you an assurance of appropriate and well maintained equipment at the best price / quality ratio. The snow is here, so this is the time to book your ski equipment on-line and enjoy our best rates!